This alphabet book is a tribute to the iconic images, symbols, and signature Indian experiences in verses that are profound, wise, playful, and lyrical. But each verse has Gulzar’s stamp on it. 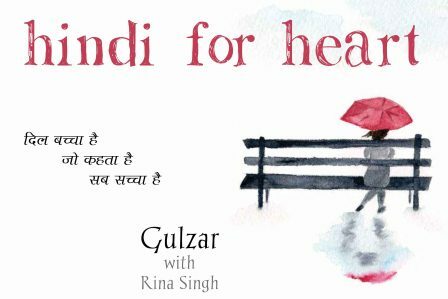 The intention of the book is to celebrate India as we all know it – in its own language by its own celebrated poet who can elevate even a cloud filled with rain into a deeply emotional experience. Captivating water colour illustrations by Rina Singh are subtly rich in colour and evoke a nostalgia of all things Indian..